Image notes: Up to 20 cm tall. Flowers small, yellow with reddish sepals. Large leaves at base, with smaller leaves looking like scales up the stem. Habitat: Gently sloping schist grassland near river. Soils pebbly. Notes: Up to 20 cm tall. Flowers small, yellow with reddish sepals. Large leaves at base, with smaller leaves looking like scales up the stem. Hyde, M.A., Wursten, B.T., Ballings, P. & Coates Palgrave, M. (2019). 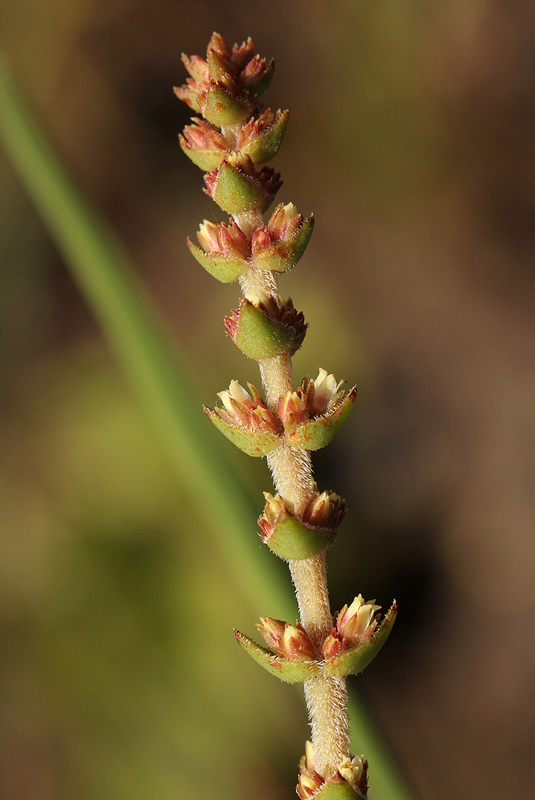 Flora of Mozambique: Species information: individual images: Crassula capitella.